Tea? Portland? Yes please. We were walking around the neighborhood where Stash Tea Company was located after a hefty meal somewhere when it started to sprinkle. For once, I did not search on Yelp for a place to duck into. Instead, since there were so many small, independent shops on the street, we decided to walk towards Stash's large purple sign outside since it looked welcoming. The wording indicated that there was tea inside, and that was tempting enough for me. 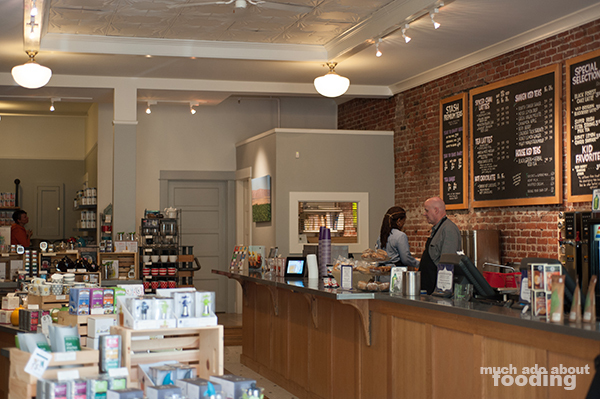 Once we walked through the door, we realized just how spacious it was inside and that it was dangerous for my wallet to be around so many tempting teas! 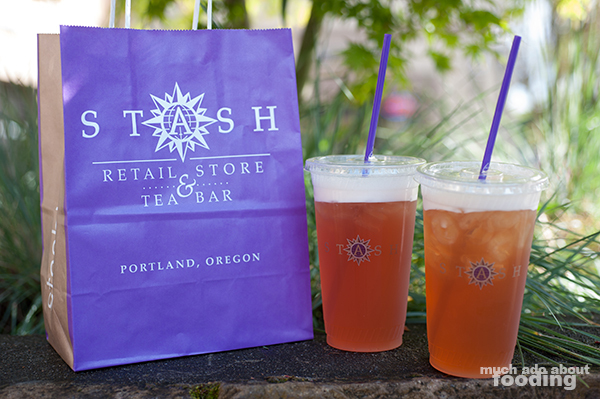 Unlike other "Eatery" posts I have written, there was not much of a dining experience at Stash Tea Company but there was an area where customers could lounge with a cup of tea from the baristas who doubled as retail cashiers. 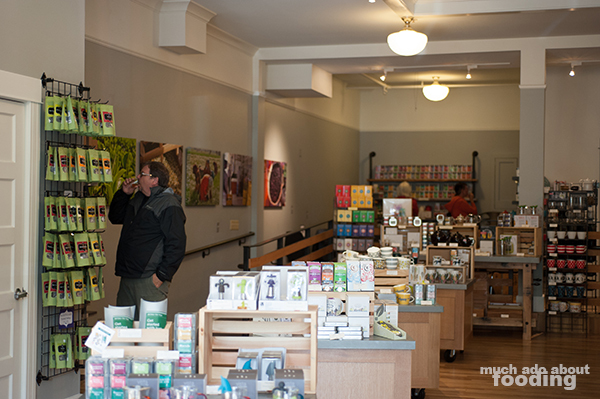 The focus of the storefront was their retail selection which was enormously, ranging from pure loose leaf styles to proprietary blends. 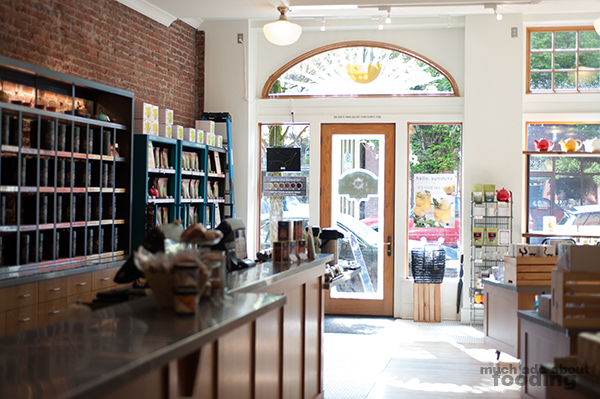 We learned a bit about Stash as we walked through and how it started in 1972 in Oregon just selling loose leaf and herbs. 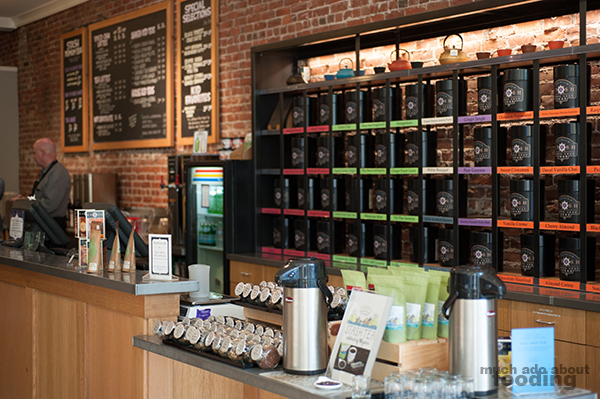 Throughout the store, there were also stations where one could sample teas in hot and iced forms to ease in the selection process. Perhaps this made it more difficult for me, however, because all of their teas were quite good. They were strong enough in flavor to carry their indicated scents through but never over-powering. There were also many accessories for those who make tea at home, ranging from the utilitarian to the whimsical. We also fell in love with and purchased two unique owl ceramic mugs as a reminder of our good-luck find. The staff was very warm and welcoming, feeling out our flavor profiles before making suggestions on which drinks they could make for us when we decided to order. The result? Spot-on choices. The drinks were balanced well between the sugar content and the teas themselves. 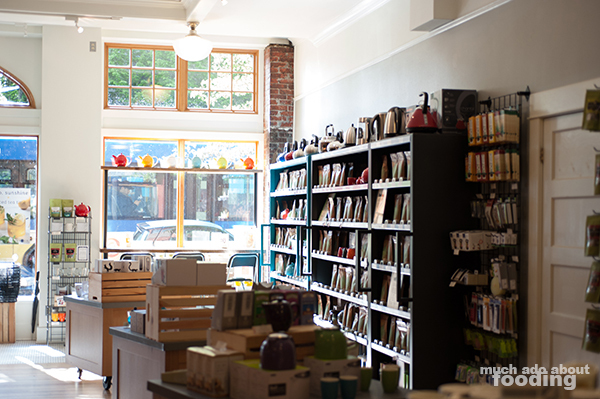 Overall, a store one could get lost in whether buying loose leaf teas by the ounce or stocking up on tea bags for the year. There were shelves and shelves of various flavors to waft towards yourself and plenty to taste-test as well. We'll have to come back our next trip to Portland!